Gentilly Boulevard crosses the Elysian Fields bus route at the next traffic light after passing under Interstate-610. When the bus passed this stop on that Monday morning in 1958, it suddenly became a much lonelier place for Joseph Narcisse. Dillard University is an historically black college located four blocks down Gentilly Boulevard on the left. In 1950s New Orleans, Dillard and Xavier universities were the only two options for black students pursuing a college degree. However, both were private schools whose tuitions were above the means of most local African-American students at the time. As the bus continued along Elysian Fields towards the lakefront, Narcisse continued, “There were a few other black people left on the bus. They looked to be domestic workers, and they started filing off the bus, too, at each stop. By the time we got five blocks from the campus, it was just me and the white kids." For Narcisse, his part in civil rights history had begun right after his graduation from St. Augustine High School, when he received a letter from LSUNO informing him that his application for college had been rejected, because the university was not accepting black students. “The funny part was I had never applied,” he recalled. A.P. Tureaud, an attorney for the New Orleans chapter of the NAACP during the Civil Rights Era, had brought suit in federal court to allow black students to attend the new university. He also happened to live on the same street as the Narcisse family. After reading the letter, “(Tureaud) said, ‘Don’t worry, you’re going to be able to go,’” Narcisse recalled. A few weeks later the would-be freshman received a second letter – this time an acceptance. The new college student never discovered who submitted that original application for him, although he has always suspected that it was his principal at St. Augustine High School, Fr. Matthew O’Rourke, SJ. Louise Williams Arnolie, another member of the 55, was one of the original 10 students on whose behalf attorneys Tureaud and Ernest “Dutch” Morial sued for admission. Like Narcisse, it was as much a financial decision as a civil rights issue for Arnolie. “At that time I was unable to afford to go to any other school,” said the Booker T. Washington Senior High graduate, in a 1983 interview. The Team: Attorneys, including A.P. 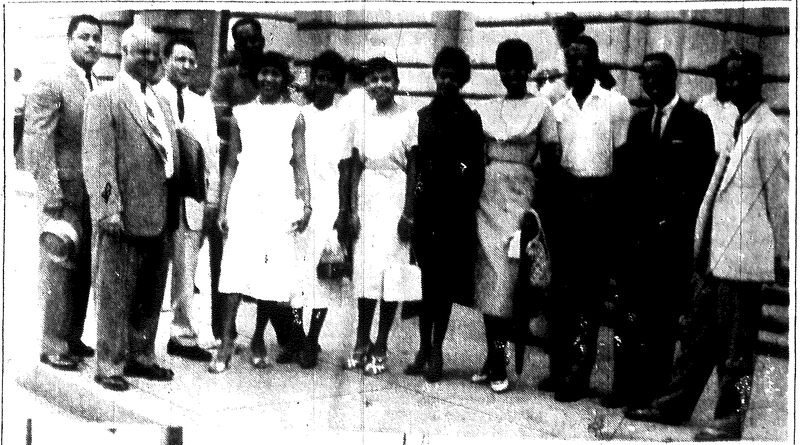 Tureaud (second from left) and Ernest “Dutch” Morial (third from left), pose with nine of the original 10 students on whose behalf the lawyers successfully sought an injunction in federal court to allow the integration of LSUNO, in this picture from The Louisiana Weekly. Morial later became New Orleans' first black mayor. ~ Source: The Louisiana Weekly, Sept. 13, 1958. The Starting Line-Up: Approximately 55 African-American students attended classes that first semester. Some of them (including Joseph Narcisse, the tall young man on the left) are seen leaving registration in this photo from The Louisiana Weekly. ~ Source: The Louisiana Weekly, Sept. 13, 1958. 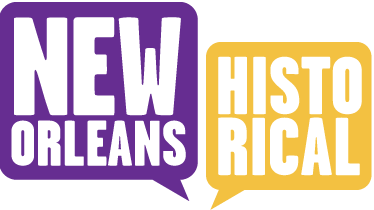 Becky Retz, “Gentilly Boulevard,” New Orleans Historical, accessed April 24, 2019, https://neworleanshistorical.org/items/show/811.